Think text message marketing is just for restaurants? Think again. Our SMS marketing service is also commonly used by retail establishments, from small boutiques to large department stores. What does text message marketing offer that other methods don’t? A way to quickly reach extremely qualified buyers, and notify them of new promotions. For a clothing store, this allows for great potential. Instead of sitting on dead inventory for months on end, run a mobile flash sale, and encourage subscribers to clean out the old so you have room for the new. Looking for more ideas on how to integrate text message marketing into your store? Get started with these specific campaigns. In general, text to win is one of the most popular features with our Slicktext.com users. Make it specific to your store, and encourage new and current subscribers to text in for a chance at winning a new outfit of their choice. People love winning, and on top of that, receiving free merchandise, so why not capitalize on both of these factors? This is a great in store promotion. Text current subscribers, and encourage them to bring a friend to your store. Once they arrive, all they have to do is show you the text, and they receive 50% off their in store purchase. In the meantime, if their friend subscribes that day, they can also take advantage of a unique offer. If you currently use our service, but don’t take advantage of our birthday text feature, you’re missing out. Not only should you be sending your subscribers well wishes on their birthday, but why not take it one step further and offer a unique gift? 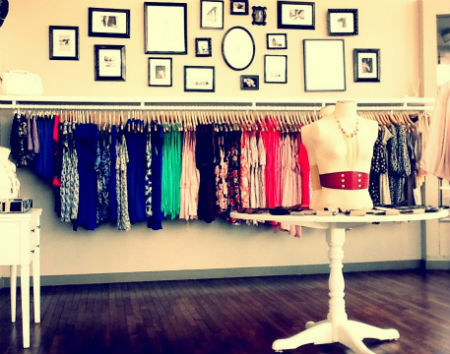 If you work in a clothing store, a free style consultation or fitting is a great way to capitalize on this idea. Ready to try out our SMS marketing service? Sign up for your free plan today, or give us a call at 1.800.688.6290.